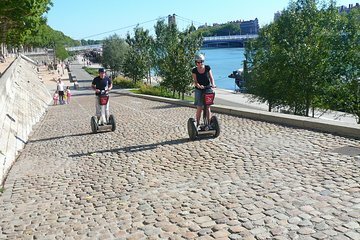 Cover lots of ground in Lyon in just an hour on board a Segway. After some instruction, you'll have an easy time maneuvering this self-balancing electric scooter through Lyon. Listen to your guide's engaging narrative as you travel to learn all about Lyon's culture, architecture, and history. During the tour you can leave your luggages at our agency. Departure location : "Vieux- Lyon" (Old Town) on the banks of the Saône between St Paul station and the Palais de Justice (24 columns).